The RIP AUSSIE HOLDEN 1948 – 2017 frame is the ideal gift for auto enthusiasts adding something different to the family car. 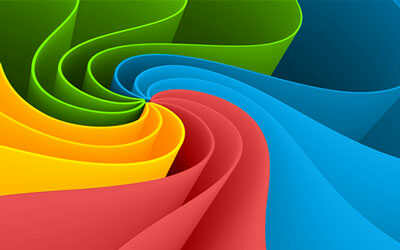 The caption is available on a variety of frame sizes and frame colours as listed below, and in the drop down menu. The frames are injection moulded plastic (ABS UV resistant), and the characters are applied as durable high quality vinyl stickers which are printed on professional sign-making printers and precision cut on a plotter with a very small blade. The frames are weatherproof and long lasting. Our default print colour is white on all frames, but if ordering a white frame the print colour will be black. The HOLDEN TORANA A9X was in the Holden LX series, which in 1977 saw the development of this limited build high-performance option aimed at winning in Australian Touring Car racing, and in particular at the annual Bathurst 1000 touring car race. This was the 'A9X Option' that was available on the 5.0-litre V8 powered SLR 5000 sedan and SS hatchback models. The A9X visually resembled the L34 optioned LH model, but with the addition of a rear-ward facing bonnet scoop that was specially designed to increase airflow through the engine bay to produce maximum power in racing conditions. The A9X package varied from the old L34 in road form in that whilst the engine was not modified, the A9X nevertheless had some special mechanical features such as rear disc brakes, heavy duty axles and a heavy duty '10 bolt' differential. After being rushed into racing service, Peter Brock gave the A9X a dream debut by winning the 1977 Hang Ten 400 at Sandown. However, after he put his Torana on pole position, the A9X ultimately lost its debut Bathurst race in 1977 to the Ford Falcons of Allan Moffat and Colin Bond. The A9X package was soon refined and proved dominant during the following two seasons of touring car racing in Australia. Drivers Peter Brock and Bob Morris were victorious in the 1978 and 1979 Australian Touring Car Championships respectively, and A9Xs shared by Peter Brock and Jim Richards won the 1978 and 1979 Bathurst 1000's. In a show of the A9X's superiority, Brock and Richards won the 1979 race by a record 6 laps, with Brock setting the touring car lap record on the last lap of the race. Overall a total of 65,977 LX Toranas were produced by Holden. Notes courtesy Wikipedia This popular plate comes standard as completely flat and non-embossed but for a little more cost we are able to give it a pressed out embossed border, so you have a choice. Please select your preference from the drop down menu. These novelty number plates are made from high quality aluminium and the artwork applied by a dye sublimation process with a lovely gloss finish. They measure 37 x 13 cm, exactly the same as the traditional fully embossed type of plate and look just like our other Aussie made novelty number plates; even the mounting holes are in exactly the same positions, so they can easily be hung on display indoors or outdoors. One great advantage the flat non-embossed version is that owing to the absence of embossed border, and being just under 1 mm thick, it’s quite flexible and will flex about 10 cm from the centre, so can be mounted on curved surfaces. Each embossed rim style plate is sealed in a clear plastic sleeve, and each flat non-embossed plate is shrink-sealed in plastic film, so both types are ready for retail display, plus we offer the option of fixing them to a cardboard display card, so they can then be hung and displayed on the same display racks that are used for the other Aussie size plates we sell. To see what the display card looks like please click here For protection during delivery we use extra packing materials to ensure they arrive in tip-top condition If you would like plates made to your own design, we can easily do this for you. Virtually anything you want can be created with our modern digital equipment. The key is good art, and we can do ANY GRAPHIC! ANY DESIGN! ANY COLOUR! For more details on creating a plate to your design please click here Important note about images we provide for novelty signs and plates: Just as we sometimes see that “pricing is subject to change without notice”, so too are “designs subject to change without notice”. In 99.99% of cases, what you see on Dixie’s website or brochure is what you get. However, there are the odd times when designs have changed in some small way (eg: maybe a logo moves to a different location on the item, or the colour changes). Sometimes this information doesn’t always trickle down until the new designs are manufactured and shipped to Dixie. We hope this is helpful and understandable. The V8 LOWNDES MURPHY BATHURST VR COMMODORE novelty number plate features the epic 1996 Bathurst 1000 victory enjoyed by Craig Lowndes and team-mate Greg Murphy. Driving for Holden Racing Team the pairing made the two men the youngest winners of the Bathurst 1000, at the time. With Greg Murphy, the youngest ever driver pairing to win the event. The HRT, formed in 1990, is the most successful V8 Supercar team in the history of the category, having won the driver's championship six times, and the series signature race, the Bathurst 1000, seven times. There are just a handful of the pressed embossed Aussie size novelty number plate left, as this type of plate is phasing out. This is a standard size 37cm x 13cm aluminium plate and extremely high quality, durable and long lasting and we are proud to say that it is Australian manufactured by the same company that’s been producing and selling quality number plates for years. The sign can be hung inside or outside and each is pre-drilled so ready to hang. For protection during delivery we use extra packing materials to ensure they arrive in tip-top condition If you would like plates made to your own design, we can easily do this for you. Virtually anything you want can be created with our modern digital equipment. The key is good art, and we can do ANY GRAPHIC! ANY DESIGN! ANY COLOUR! For more details on creating a plate to your design please click here Important note about images we provide for novelty signs and plates: Just as we sometimes see that “pricing is subject to change without notice”, so too are “designs subject to change without notice”. 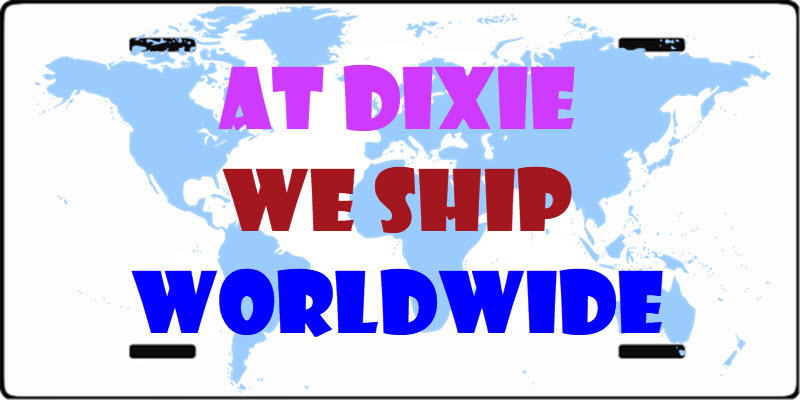 In 99.99% of cases, what you see on Dixie’s website or brochure is what you get. However, there are the odd times when designs have changed in some small way (eg: maybe a logo moves to a different location on the item, or the colour changes). Sometimes this information doesn’t always trickle down until the new designs are manufactured and shipped to Dixie. We hope this is helpful and understandable. The PEE ON FORD novelty number plate is just the job for Holden fans. There are just a handful of the pressed embossed Aussie size novelty number plate left, as this type of plate is phasing out. This is a standard size 37cm x 13cm aluminium plate and extremely high quality, durable and long lasting and we are proud to say that it is Australian manufactured by the same company that’s been producing and selling quality number plates for years. The sign can be hung inside or outside and each is pre-drilled so ready to hang. This popular plate comes standard as completely flat and non-embossed but for a little more cost we are able to give it a pressed out embossed border, so you have a choice. Please select your preference from the drop down menu. These novelty number plates are made from high quality aluminium and the artwork applied by a dye sublimation process with a lovely gloss finish. They measure 37 x 13 cm, exactly the same as the traditional fully embossed type of plate and look just like our other Aussie made novelty number plates; even the mounting holes are in exactly the same positions, so they can easily be hung on display indoors or outdoors. One great advantage the flat non-embossed version is that owing to the absence of embossed border, and being just under 1 mm thick, it’s quite flexible and will flex about 10 cm from the centre, so can be mounted on curved surfaces. Each embossed rim style plate is sealed in a clear plastic sleeve, and each flat non-embossed plate is shrink-sealed in plastic film, so both types are ready for retail display, plus we offer the option of fixing them to a cardboard display card, so they can then be hung and displayed on the same display racks that are used for the other Aussie size plates we sell. To see what the display card looks like please click here For protection during delivery we use extra packing materials to ensure they arrive in tip-top condition If you would like plates made to your own design, we can easily do this for you. Virtually anything you want can be created with our modern digital equipment. The key is good art, and we can do ANY GRAPHIC! ANY DESIGN! ANY COLOUR! For more details on creating a plate to your design please click here Important note about images we provide for novelty signs and plates: Just as we sometimes see that “pricing is subject to change without notice”, so too are “designs subject to change without notice”. In 99.99% of cases, what you see on Dixie’s website or brochure is what you get. However, there are the odd times when designs have changed in some small way (eg: maybe a logo moves to a different location on the item, or the colour changes). Sometimes this information doesn’t always trickle down until the new designs are manufactured and shipped to Dixie. We hope this is helpful and understandable.